If you are thinking of the most stylish or technology-savvy person at U-High, you are most likely thinking of senior Elijah King. If he’s not at school, you can find King at various design firms in Chicago finding inspiration for his work. King has a passion for functional design, art, the interaction of people between the two, and also an appreciation for music. 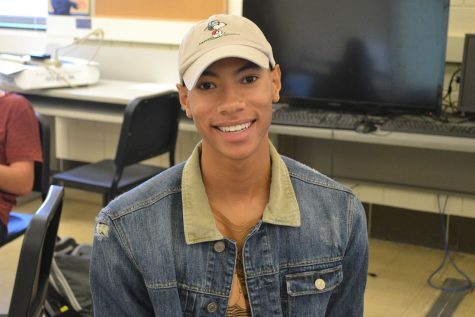 He plans to implement these into his work as a reporter, writer, and photographer for the Clarionette. King also has advice for anyone that asks. “Go vegan and drink more water,” King said.